What could be more important than writing about a key bit of information that will make the Filipino people realize they don’t need foreign funds in the national economy anymore to enable them to throw the yoke of economic colonialism immediately? All the BS that cause the inferiority complex and mendicancy of Filipinos (BS such as “we need foreign investors”; “we don’t have the funds”; “we can’t run the country without debt”; or “we can’t escape the debt trap”) will simply have to go down the toilet drain. Several times before, we have written about this idle fund that can free us of foreign dependency right away. We placed the figure at $28 billion or P1.3 trillion and identified that fund as the Special Deposit Account (SDA) with the Bangko Sentral ng Pilipinas (BSP), which was pointed out to us by economist Hiro Vaswani of KME (Kilusang Makabansang Ekonomiya). Recently, we got another confirmation of the existence and availability of this “disposable” fund kept idle only because of the treasonous streak of our BSP officials. In other words, we don’t need the PPP (Public-Private Partnership) projects of PeNoy because this $30-billion fund is already larger than all the funding requirements for the 83 “flagship” projects under his entire term. Besides this, another reason for tapping the idle SDA is that PPP partners get unconscionable “sweeteners” such as TRO-free operations which, like in past BOT (Build-Operate-Transfer) projects, effectively bar people from resorting to the courts no matter the inimical nature of these projects to public welfare or how financially abusive the project owners become. Of course, this is on top of the fact that “investor-partners” of government also get “sovereign guarantees” for their profits, which only means that they get to secure their loans risk free and their profits at exorbitant rates of return. Unfortunately, that rationale, despite never being valid nor true, has gotten even the most intelligent and well-informed of our leaders either totally or partially ignorant of the existence of the huge fund that the country can use, perhaps out of a reluctance to exercise a modicum of mental or political independence. Actually, the BSP and the country’s bankers know that this gargantuan fund is readily available for the nation’s benefit. But why is everybody silent about it? Is it because of certain shenanigans in the BSP, where officials are in cahoots with foreign fund managers to take advantage of it? So who are the other “fund managers?” Do BSP officials receive fat commissions for subcontracting this, too? In addition, it was revealed that “about 42 percent of Philippine funds which are US dollar hedged portfolios — are invested in the US, 33 percent in the Eurozone, 11 percent in Japan and nine percent in the United Kingdom.” BSP insiders tell us that commissions are paid out for such “investments” as well. The Filipino people should thus wake up to the big scam that is going on with the country’s huge financial reserves. We are not as poor as those opportunistic elements in our ruling elite and financial cabals make us to be. We, the people, should take charge of our nation’s financial resources through a People’s Bank run by our knowledgeable representatives — not by gofers of the international and local banking cartel. What was going on in the mind of Justice Secretary Leila de Lima in calling a press conference to present supposed new witnesses in the unresolved Vizconde massacre case that apparently was meant to again implicate the same personalities already acquitted by the Supreme Court (SC) was too obvious: Recall and retaliation. Recall was for her 2013 senatorial ambitions as a coup in her public career which would be most accessible by sticking to the celebrated case and digging up old bones, including those consigned to lie in peace. Noynoy told reporters yesterday that one Cabinet official of his may be sacked if that person does not shape up, but added that the official will be given another assignment. He refused to identify the Cabinet official, saying that he will talk to the official, adding that the official could be transferred to a different agency if several issues are not addressed. One suspects that Noynoy has been forced into saying this, which is clearly an iffy thing, since there are conditions attached to this official’s removal. The alleged newly discovered evidence being introduced by the National Bureau of Investigation (NBI) against Hubert Webb in connection with the Vizconde massacre case cannot be used against him and is “inadmissible” as evidence, a lawyer yesterday told the Tribune. Lawyer Romulo Macalintal said this was not only because of the principle against double jeopardy as Webb and his co-accused had already been acquitted by the Supreme Court (SC). Saudi Arabia will stop issuing work permits to Filipino domestic helpers beginning July 2, adding pressure to the Aquino government to provide more jobs at home. Saudi imposed the deployment ban to protest the monthly wage increase from $200 to $400 being sought by the Aquino administration for Filipino maids. Rico Fos, Foreign Affairs Director for Migrant Workers Affairs, said Manila will seek clarification from Saudi regarding the ban, which also includes Indonesia, but noted that it will not back down from negotiations seeking better pay for Filipino maids. ordered the filing of plunder cases against the two on the P723-million fertilizer fund scam. Casimiro stood firm on his earlier order finding probable cause to indict Lorenzo, Bolante and several other high-ranking officials in connection with the fertilizer fund scam. Aside from the main respondents, incumbent Quezon City Rep. Nanette Castelo-Daza, ex-Rep. and now Marinduque Gov. Carmencita Reyes and former Catanduanes Gov. Leandro Verceles Jr. filed separate motions which were also denied by the anti-graft office. Two other cases of alleged fund misuse during the Arroyo administration are slated to be investigated by the Senate, with one involving the alleged anomalous acquisition of helicopters for the Philippine National Police (PNP)’s elite Special Action Force (SAF) unit amounting to P105 million and a purported irregularity in the use of almost P9 million of Road Users’ Tax. A twin move to probe the said issues is being pursued by Senators Panfilo Lacson and Teofisto “TG” Guingona, following their filing of Resolution Nos. 518 and 520 last Wednesday, it was gathered yesterday. Resolution No. 518 is about the alleged misrepresentation in the acquisition of the Light Police Operational Helicopters (LPOHs) from Manila Aerospace Products Trading Corp. (Maptra) while the other is about irregularities in the Motor Vehicle Users’ Charge (MVUC), also known as the Road Users’ Tax under the past administration. BEIJING — China has said a series of recent naval drills are “routine” and unrelated to simmering tensions in the South China Sea involving a range of nations with competing territorial claims. When asked about the six military exercises staged by the Chinese Navy in June, including a joint drill with Vietnam in the Gulf of Tonkin, defense ministry spokesman Yang Yujun urged the media not to speculate about their purpose. The militant League of Filipino Students (LFS) yesterday lambasted the Armed Forces of the Philippines (AFP) for identifying the youth group as among the organizations that should be avoided by young students, branding such pronouncements as dangerous and irresponsible. In a statement, LFS chairman Terry Ridon said they are holding AFP-Civil Relations Service (cRs) chief Brig. Gen. Eduardo del Rosario personally liable for deaths of their members in the future. 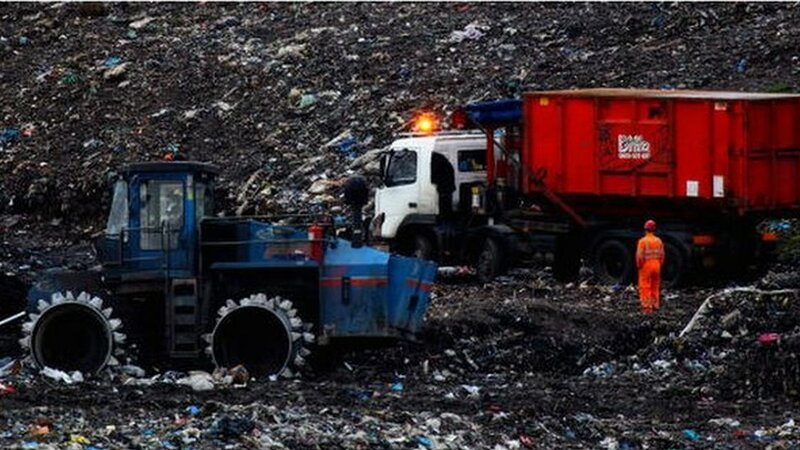 Landfill ban could see Scotland's waste sent to England - A report warns that not enough work has been done to prepare for a ban on household waste going to landfill.